Astrology: Is It Okay for Christians to Use Horoscopes? Some read horoscopes for fun, while others seek guidance for difficult decisions. Horoscopes are rooted in the ancient pagan practice of astrology. Can you be a Christian and seek guidance from horoscopes? Astrology has been used to make predictions of future events, from wars to economic forecasts to personal events in people’s lives. 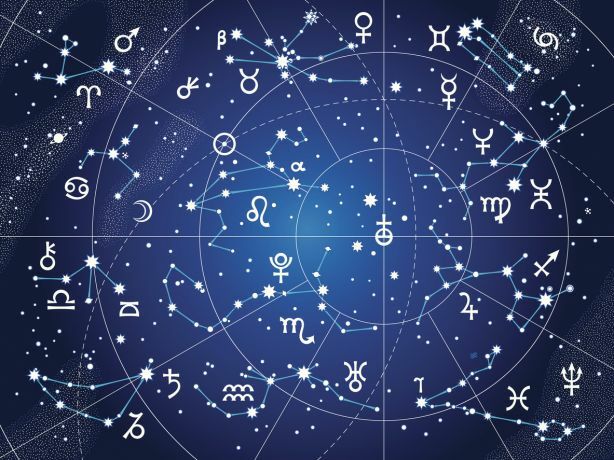 The simplest form of astrology is sun-sign astrology, which is based on the 12 constellations of the zodiac. This takes the form of a horoscope (from Greek words meaning “watcher of the hour” in reference to the hour of one’s birth), making predictions of events in your life based on your birth month. More elaborate and complex forms of astrology use birth charts based on the date, time and place of your birth. The practice of astrology is an ancient one. According to the American Federation of Astrology, astrology has its roots in ancient Babylon and was passed down to the ancient Greeks and Romans. William Frederick Allan, who used the pseudonym Alan Leo, is credited by some with making astrology popular in modern times. He practiced a style of psychology that blended concepts of karma, reincarnation and astrology. Can a person be a Christian and participate in astrology? “When you come into the land which the LORD your God is giving you, you shall not learn to follow the abominations of those nations. There shall not be found among you anyone who makes his son or his daughter pass through the fire, or one who practices witchcraft, or a soothsayer, or one who interprets omens, or a sorcerer, or one who conjures spells, or a medium, or a spiritist, or one who calls up the dead. “For all who do these things are an abomination to the LORD, and because of these abominations the LORD your God drives them out from before you. You shall be blameless before the LORD your God. For these nations which you will dispossess listened to soothsayers and diviners; but as for you, the LORD your God has not appointed such for you” (Deuteronomy 18:9-14). Following any of these pagan religious practices means putting something else before the true God, thus breaking the First Commandment. Using astrology and horoscopes is thus a sin, and Christians are called to break the shackles of sin and replace it with obedience to God (Romans 6:15-16). The practice of astrology was widely used in Babylon. When Nebuchadnezzar, the king of Babylon, had a dream that troubled him, he called the wise men, including “astrologers,” before him to tell him his dream and its meaning (Daniel 2:1-6). They were unable to perform his request, which made the king furious. He commanded that they all be put to death (verses 10-13). God also condemned the Babylonian reliance on “the astrologers, the stargazers, and the monthly prognosticators [fortune-tellers or diviners]” through the prophet Isaiah. God challenged the Babylonians to let these pagans “stand up and save you from what shall come upon you” (Isaiah 47:13). Of course, the astrologers “shall not deliver themselves,” and thus God told the Babylonians, “No one shall save you” (verses 14-15). That’s the point. Only God can guide our futures and save us. In the New Testament Paul encountered a slave girl who had an evil spirit of divination. Paul commanded the spirit to leave her, ending her fortune-telling days, which made her masters very angry (Acts 16:16-19). Human beings have a deep desire to know the future and to have guidance through an ever more complex and chaotic world. As such, people seek wisdom from a source greater than themselves. For some, that is the universe—the movement of the stars. However, God warns us not to look to the creation for guidance, but to look to Him as the Creator (Romans 1:25). You may not know the future in as much detail as you would like, but you can have confidence that God is in control of your future and has a place for you in His plan. Astrology is a false belief that claims wisdom comes from knowing the arrangement of planets and stars. A Christian’s wisdom comes from God alone (James 1:5), and if you trust God alone, He will “direct your paths” (Proverbs 3:5-6). Faith in anything besides God will not produce positive fruit in our lives. British and Americans Embracing Astrology and Wicca: What’s the Danger? Deadly Sins: Are There Any? Are the Penalties for Sins Passed Down to Future Generations? Sins of Omission: Do They Exist?